Compassionate Heart fosters friendships! We were blessed to meet miss Amy this past summer as a Serve mentor. She is an amazing young lady who truly encapsulates what it means to be a friend! Take a moment to read a short snip it of the friendships she is a part of through Compassionate Heart Ministries. “My relationship with Traci and Amy rooted back from Summer Serve. I had met both of these ladies there and created a great friendship with them both! We later added each other on Facebook and messaged a bit, and then Traci asked if I’d like to go out to lunch with her and Amy! I was so excited! We decided to go out to eat one day to AppleBees and chat for a few hours! 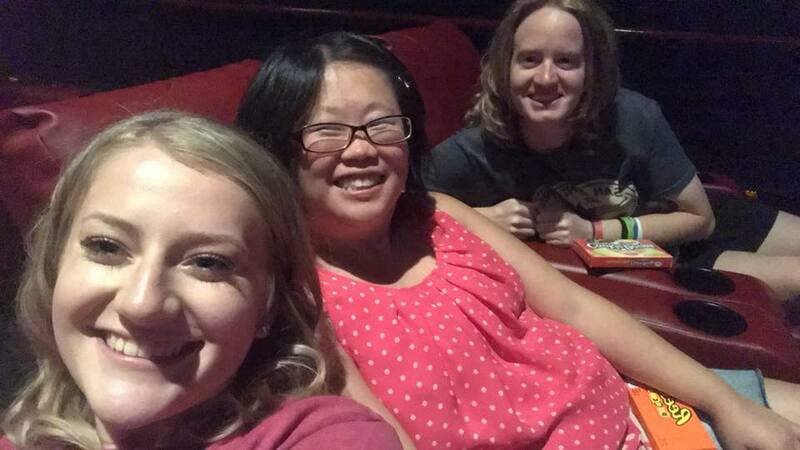 We had so much fun that we decided to hangout AGAIN but at Logan’s as well as a movie this time! We have so much fun laughing and talking with one another! It truly is such a blast hanging with those two, and the bond we’ve created together is like no other! I thank Compassionate Heart so much for the friendships I was able to make there. It connects us to people that have such big hearts and such amazing personalities.” -Amy R.
Success isn’t what happens within CHM’s walls, it’s when people like Amy R., Traci, & Amy call each other on the weekend and hangout outside of the CHM walls! That is friendship! Amy’s story is just one of many. It is amazing to see these friendships begin & grow!